Rathcormac N.S. in Co. Sligo has 239 students and 20 members of staff. 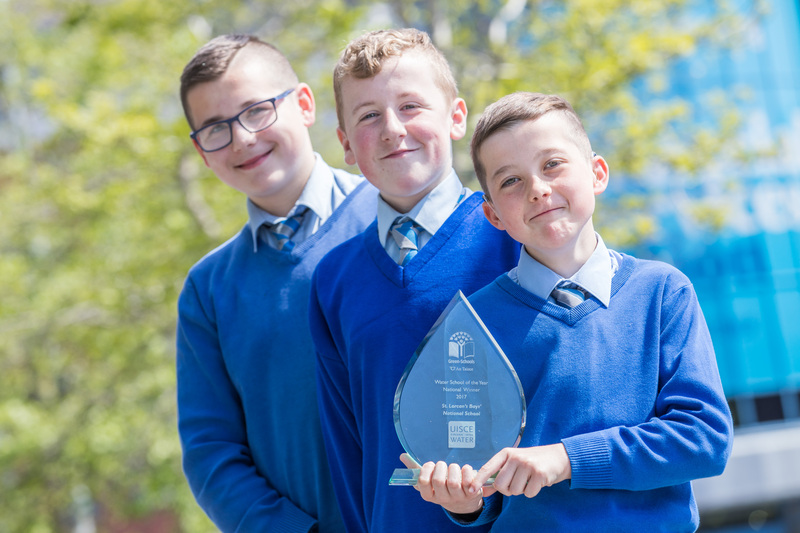 They achieved their Green Flag for Water in May 2017 and were also selected as the Western Region’s Primary School winners at the 2017 Water School of the Year awards in the Radisson Blu Hotel, Dublin 8. Their committee is made up of students from 3rd to 6th class, with two students per class selected by the class teacher. The committee meets at least twice per month to discuss Green-Schools’ progress; the Green-Schools coordinator and supporting teacher keep the rest of the staff informed of all Green-Schools activity within the school. To go on a visit to the local Water Treatment Plant, so that the students could develop an understanding of the extensive treatment process water has to go through before it is fit for human consumption. 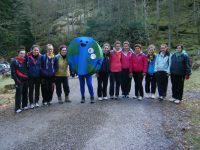 The school organised a Walk for Water on the 22nd March 2017, which involved a 2km walk for the younger children and a 5km walk for the older children. Each child carried a bottle of water to help them understand the concept of having to carry water for survival. The older children rotated with a heavier container of water. All children wore blue on the day and funds raised were donated to local teaching student Michelle Carr from The Froebel College and Hope Foundation Teaching Education Partnership, to help fund her trip to Kolkata to teach voluntarily for 5 weeks. 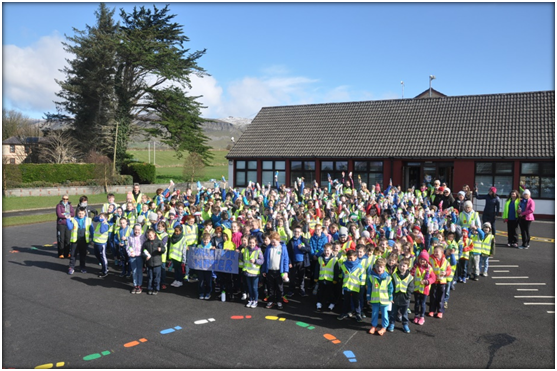 The school also planned for the Green-Schools Committee and Water Wardens to visit the local Water Treatment Plant at Kilsellagh and for the younger children to carry out a beach clean-up, in collaboration with Tidy Towns and the local Cubs club. Rathcormac NS monitor water usage by taking meter readings on a regular basis. The readings are recorded and analysed and put on display on the school notice board. This informs everyone of the progress being made and encourages all the students and staff to keep working on the theme. The designated “Water Wardens” monitor the use of water in the classroom and toilets. They regularly give feedback to the class and committee on areas of progress and concern. They compared their water usage between 2016 and 2017. The figures show that the average usage from March 2016 was 10 litres per day. When they compared the same period in 2017, the average daily usage was 7 litres per day. This is an incredible drop of 3 litres (30%) per person per day since they started the Green-Schools water theme. Hippo bags have been fitted in all toilets. Sensors have been fitted in the urinals. The Caretaker turns off the urinals each night. The pressure taps have all been regulated. The temperature of each hot tap has been reduced and regulated. The Water Wardens are responsible for encouraging everyone to be more water aware and use water carefully in daily activities. Rathcormac NS has incorporated the theme of water in all classes from Junior Infants to Sixth Class. 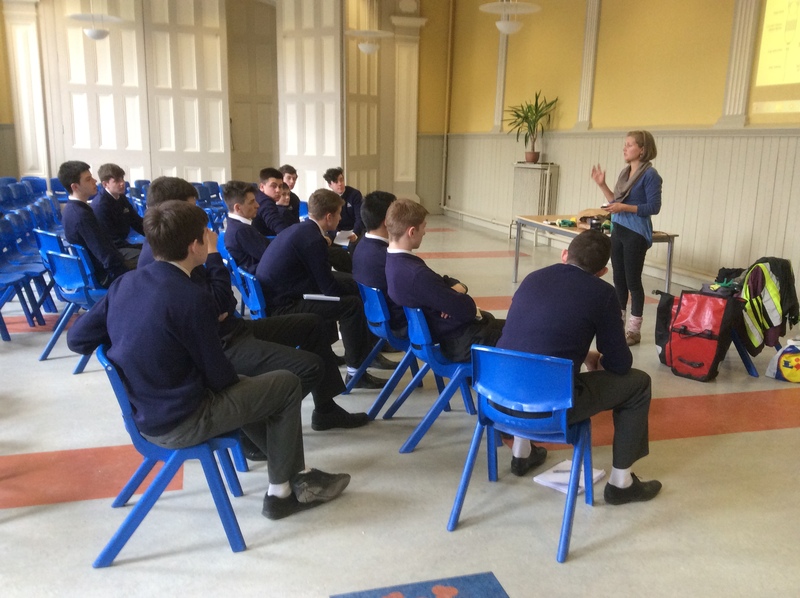 Senior Infants Literacy: Oral – discussion based around water pollution. Story: the rain on Kapiti Plains. Experiments to show water pollution in a flower. The life of 3 plastic bottles – water pollution. The importance of water for animals and crops – drought in Africa. Literacy: Oral discussion and writing about water pollution. Music: Wrote a Water Pollution Rap. Art: Water pollution display and coral reef display. Literacy: Slogan writing, Report writing. Studying water conservation and pollution issues. Literacy: Complete surveys, read and answer questions on questionnaires. Art: Design and draw a water conservation poster. SESE: Develop an awareness of our environment and Environmental care. 4th Class Literacy: Oral discussion and presentations on water conservation. Slogan writing on water conservation. Recording the class project on water conservation. ART: Water conservation tips art display. Design posters to encourage water conservation. SESE: Water conservation in the home and school. 5th Class Literacy: Project writing. Slogan writing on water conservation. 6th Class Art: Water lifecycle 3D display. Literacy: Slogan writing on water conservation. ART: Posters of slogan writing. The school community are informed via the school website. Staff meetings are used to inform all teachers of Green-Schools progress and to discuss and share ideas for upcoming events. The Green-Schools notice board is used to inform pupils, staff, parents and all visitors about their water conservation campaign. Using the school website to update parents and encourage parental involvement in their drive to conserve water both at school and at home. A local politician was invited to the school to talk to the children about rain harvesting. 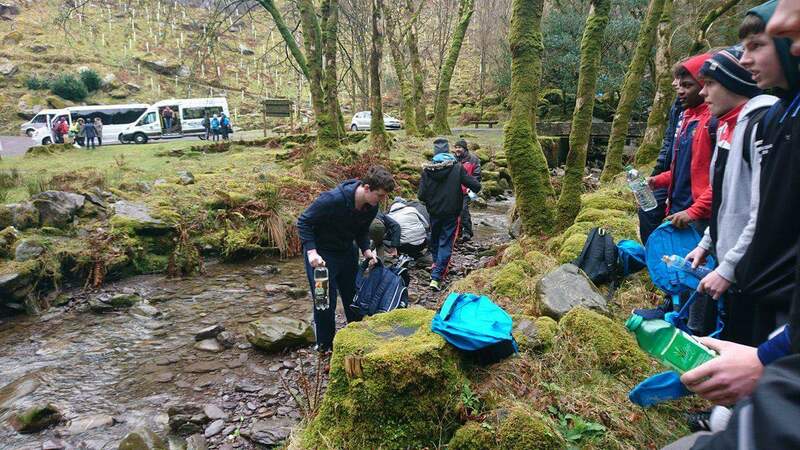 They liaised with the local Tidy Towns committee and Scouts for a local area clean-up and beach clean-up. Their ‘Walk for Water’ helped to fund-raise for a past pupil going to do volunteer work in Kolkata/ Calcutta. As part of their Action Plan, the school launched a slogan competition to devise a new Green Code for the school. The Principal and the Green-Schools Co-ordinators chose the winning entry. The new Green Code is displayed beside the Green Schools notice board and has been taught to all the children. It is also regularly referred to at school assemblies.